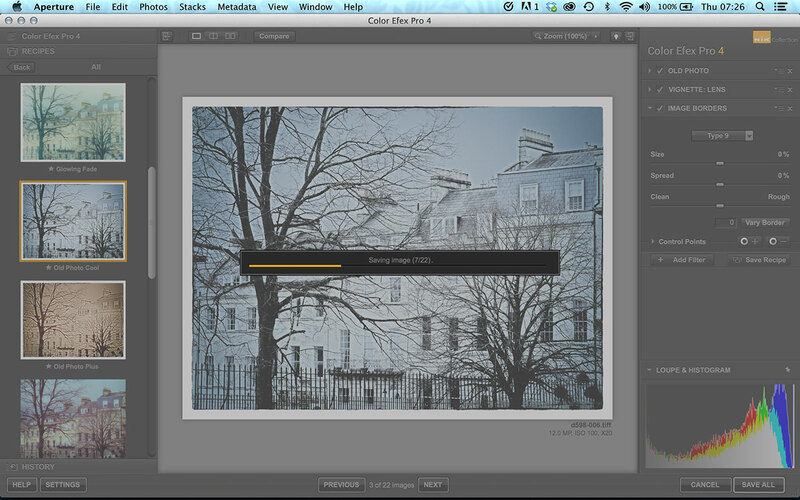 Now I can just sit back and watch while Color Efex Pro processes each image in turn. If you’re working from Lightroom or Aperture, these are saved back to your image library as they’re processed. It’s that easy! 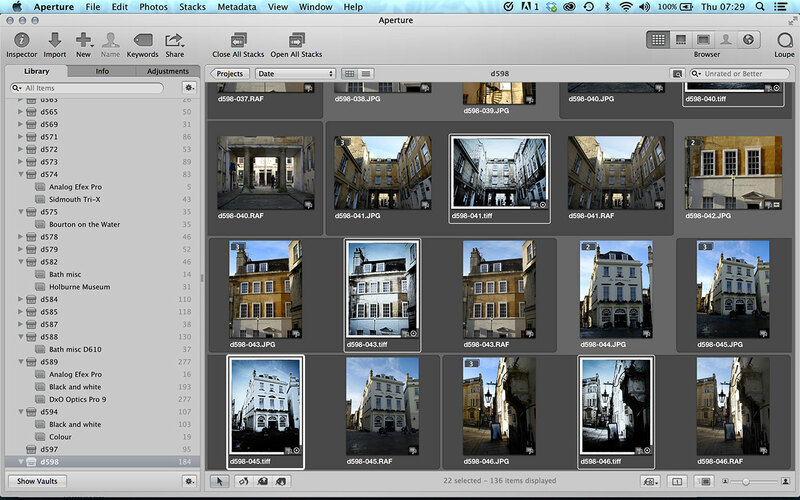 Back in Aperture, the processed images have been stacked with the originals – and currently these processed photos are still selected. Don’t deselect them yet! Thank you so much for this information. I appreciate your time and effort in putting this together. It would be really useful for me if sets of 3 or more images could be automated into an hdr batch. I create alot of HDR panorama’s, and now I need to select 3 images manually, make the HDR in hdr efex pro and then continue to select the next 3 images for the HDR manually. VERY timeconsuming. Can this be automated that the program automaticly selects the next 3 images after completing each HDR? What Eddie said – nice job and thank you!! 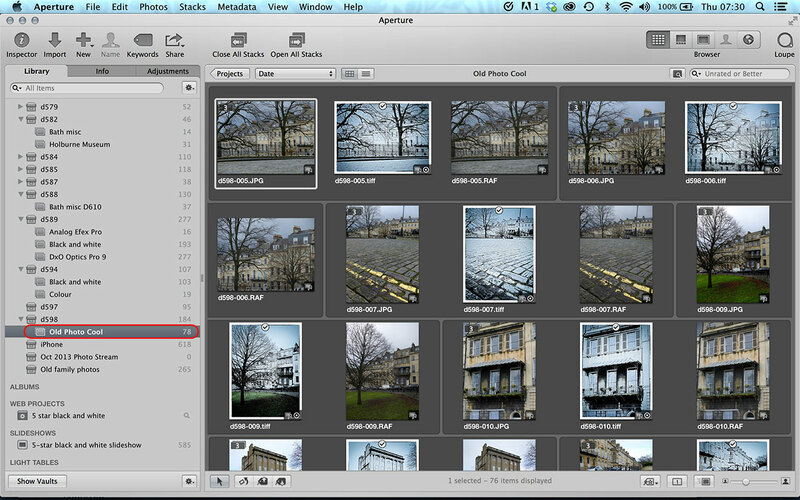 Previous Previous post: Aperture users: 3 ways Lightroom could drive you mad!